So today we began some actual design work. 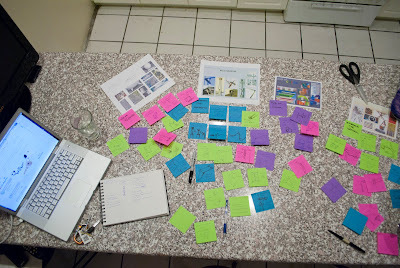 The iconic post-it-note thumbnail sketch ideation session. The crucial first step is a verbal and visual conversation between Fed and I, documented on these colorful squares. It started in the kitchen while making dinner, we just started talking, and then we grabbed some note pads and pens. 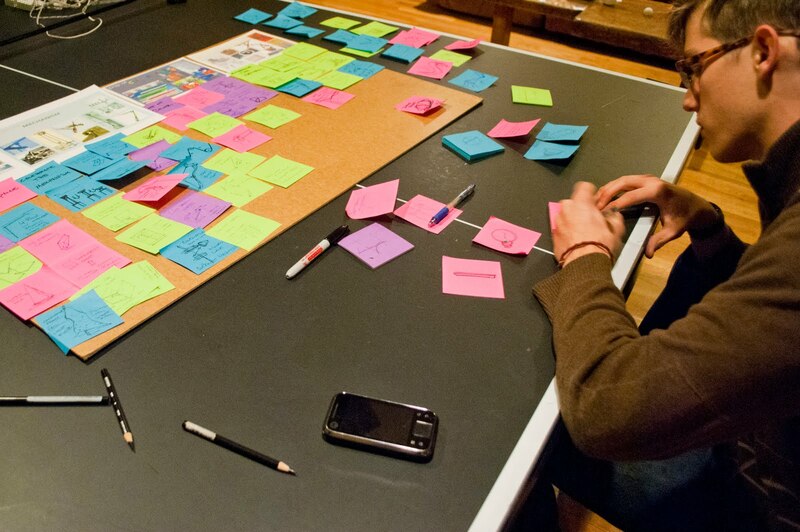 The brainstorming process allows us to throw out ideas, anything at all, and bounce it off each other. No matter how wacky or obscure an idea, at this point just get it out, get it down, move on. 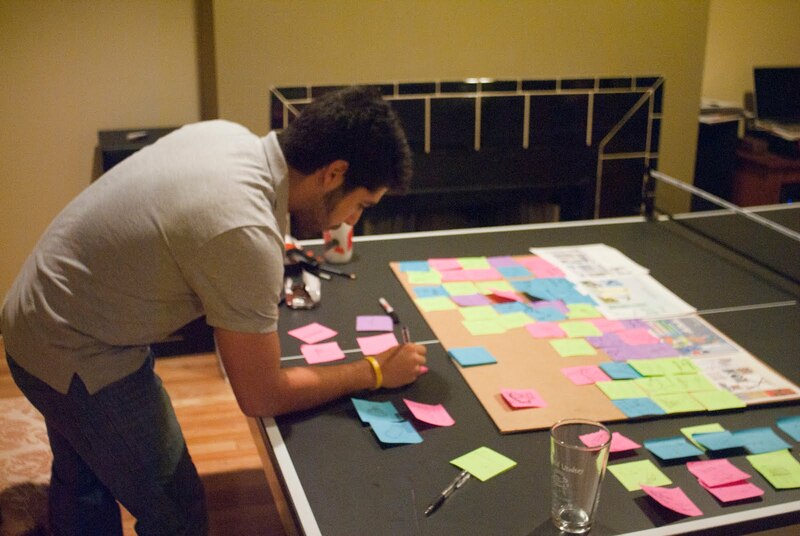 The more ideas you can generate the better chance one or two of them will be good! Moved to the ping pong table. Myself, pen in hand. Fed, putting one down. We used our inspiration mood boards from yesterday to begin to organize our thoughts. Confetti aftermath. 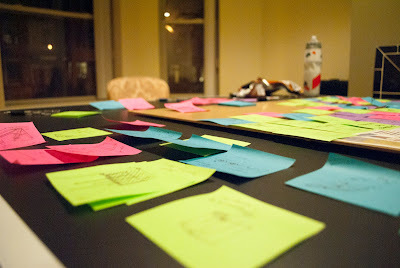 A good ideation session but there will be more!